The Year was 1990. The Berlin Wall had fallen the year prior, Germany was reunited, the guy above was actually relevant and in a little village in lower saxony, my parents got a visitor. It was a friend of them whose name I can hardly remember. He was somewhat of a wunderkind when it came to everything IT-related so he chose a job in that field. One summer evening he visited my parents and connected something to the TV. I wasn't sure what it actually was, but he was excited, my dad was excited and my mom was at least curious. Then he switched it on and 4-year-old me came to his first contact with something called "video games". At least until the aforementioned NES came around and took the market by storm. Mind you, there are over 80 (!!!) different models of the MSX. And this is just the first iteration. I'm not even talking about the MSX 2, MSX 2+, Do-It-Yourself MSX, etc. So what was the thing that defined "unified"? The OS. 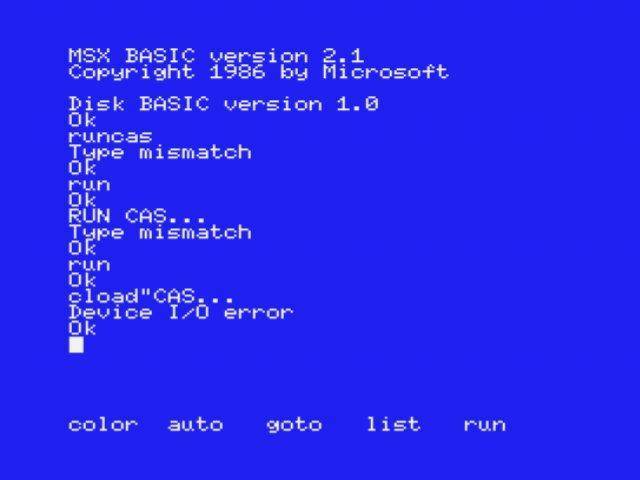 In this case, we got a slightly advanced version of basic: MSX basic. Yeah..."Basic" is the operative word here. But it wasn't just "Basic", it was MSX Basic. So what does that mean? IT'S EXTENDED (MSX = MicroSoft eXtended. ...yup, it's like "Blast processing". Japan, however, wanted something alike, so the MSX was born. And since it came out two years before the Famicom, many a big japanese developer started releasing their games on this black box. Most notably Konami and Hudson Soft who both had an amazing output for the system (which makes it hard for me to critisize Konami with righteous arguments since they were basically my entrance into gaming). But this is a GARME JURNALIZM-Site, so let's get to the juicy part. Which games were there? I'm not gonna hand out a top list, I'd rather give some insight into what games there were with some selected words for every title. Yup...a pinball simulator. Can't really say too much about it. It had some okayish ball-physics for the time and was "fun for the whole family"...no really: before my family and me got separated we used to dust off the old system and pop this in for a family-tournament at least once a year. My second game was this gem. Why do I call it gem? Because since 2008 there's an official version of this game on XBLA. A game, that was 27 years old at that time. Namco struck gold, when they released Galaga in the Arcades back in 1981 and the incredible popularity worked in its favor on the home systems. Galaga got ported to nearly everything with a floppy drive and up to this day, it's still awesome. It's more active than Space Invaders yet immediately instinctive to play. Konami was seemingly in love with classic tunes since there is nearly no game of that era that hasn't a memorable song in it. What else can be said? You're a chef and and have to take care of raccoons, so that the customers can get their rolls in the morning and an owl can give you bonus because OF COURSE. If you want a blueprint for "Spelunky", King's Valley has you covered. One hit deaths? Check. Traps? Check. Balls hard evading? Check. A favorite of my little sister because LOOK AT ALL THE CGA CUTE!!! 1984 was really a good year for Konami it seems. Athletic Land is proof of that. Again: simple premise, hard to master, as you progress through screens of increasing difficulty and questionable hit detection. He, who doesn't know this game and hasn't broken at least two joysticks hath no righteth to calleth himself gamer. Licensed crap....not an invention of today. Even though the MSX wasn't popular in the States, companies like Activision still ported some games over there. Keystone Kapers is an example of such and I can't count all the hours little me tried to capture gangsters and robbers in the several malls. 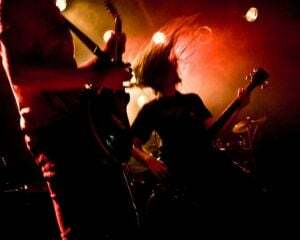 The direct predecessor. Released in the same year. More of the same? Nope. This basically did everything different. More sophisticated graphics aside, this iteration of the series had you battle through screens of smaller enemies until you reached the real boss-fight. Also, it featured a dynamic soundtrack and Multiplayer-Mode with several characters. One of the best known Text Adventures ever, of course, the Hobbit made an entrance on the MSX. Neither did I know, what the Hobbit was, nor did I understand that much but time and again I used this game to learn English. Of course I forgot some games like Metal Gear, Parodius or Bomberman (three franchises that started on the MSX) but this is mostly because I didn't play them or didn't have them. Those games weren't so easy to come by, even in Europe. So I hope I could bring some light into this partly forgotten Corner of Video Game History with some games that the wee little Zer0t0nin enjoyed the most.